An article in ‘Business Insider’ this month revisits what it’s like to work at Amazon. While there may have been some improvement since the 2015 NYT article that referred to a bruising culture and people crying at their desks, there still seems to be evidence of exploitation. There is only one kind of exploitation in organizations that is permissible and useful. And it doesn’t involve crying in the bathroom. It’s about exploiting the constraint. Hearing about any kind of bruising and exploitative behaviour at Amazon is more than disappointing. 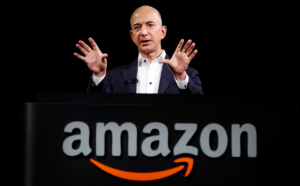 This is because Jeff Bezos, the CEO of Amazon, is a proponent of the Theory of Constraints and has said publicly that he gives the best-selling business novel ‘The Goal’ by Dr. Eli Goldratt to all his senior managers to read. ‘The Goal’ describes how adopting the Theory of Constraints turns around a desperate situation into one of great success. The main character, Alex Rogo, consults a physics professor who explains that there are only three elements he needs to be concerned with, Throughput, i.e. money coming in as results of sales, Inventory i.e. the money currently trapped inside the system, and operating expense i.e. the money they have to invest, pay out, to make throughput happen. Through the story, Alex learns how to maximize flow and throughput not by having every element in the system working flat out, but by organizing production around a constraint. What Alex learns is that you have to identify a constraint in your organization and then exploit the constraint. What does that mean? Resources must be organized around a well-chosen constraint (bottle-neck) because the constraint dictates the pace of throughput. For this reason, the constraint must always be working (exploited) so that the organization can produce the maximum. A minute of constraint time lost affects the entire system. So everything else in the system needs to subordinate to the constraint, i.e. be available so that the constraint is never starved. This way, all the resources contribute in a synchronized manner to producing the maximum throughput. The Theory of Constraints is an expression not just of management science but of the cultural heritage of Eli Goldratt. He began to talk more explicitly about this heritage towards the end of his life. Precisely for this reason, there is no space whatsoever within an application of the Theory of Constraint to exploit people. When an organization chooses to control its destiny by designing its life around a constraint, it chooses intrinsically to work smarter, not harder. Only the constraint, be it a machine or a team of surgeons in an operating theatre, needs to be working all the time that is available. Everybody and everything else subordinates to make that happen and this inevitably means there must be what may be perceived as “slack” in the system. People and machines need to be idle some of the time so they can “be instantly available” to feed the constraint. This is effective resource optimization. Choosing and exploiting a constraint is the OPPOSITE of burnout. It is an intelligent form of management and therefore one that requires people to have the mental and physical space not just to operate blindly but to think, plan and implement, all of which is informed by a higher form of intelligence – a systemic intelligence. This is why Goldratt created the remarkable suite of Thinking Process Tools. These tools enhance and reinforce a systemic worldview where interdependencies and finite capacity are taken into account. Far from being limiting, these tools enable people to develop their abilities to think and to act, overcoming all the inevitable conflicts and negative implications that may arise. When people take the time to truly understand not just the mechanics but the philosophy behind the Theory of Constraints, they will discover a means for continuous improvement, continuous innovation, and the tools to create a working environment where everybody wins. Jeff Bezos may have become the richest man in the world, but he seems to have missed some fundamental human issues when he read ‘The Goal’. Not sure what the core problem is, but at the very least they haven’t identified how to implement the change ( assuming they have identified WHAT to change To, etc) in their Whole Foods stores.